With National Poetry Day just one week away and lots of poetry events on the near horizon I thought a round-up of what’s going on would be a good idea. On National Poetry Day, Thursday 28th September, the NE Lincs libraries are hosting readings from popular poets in our region. 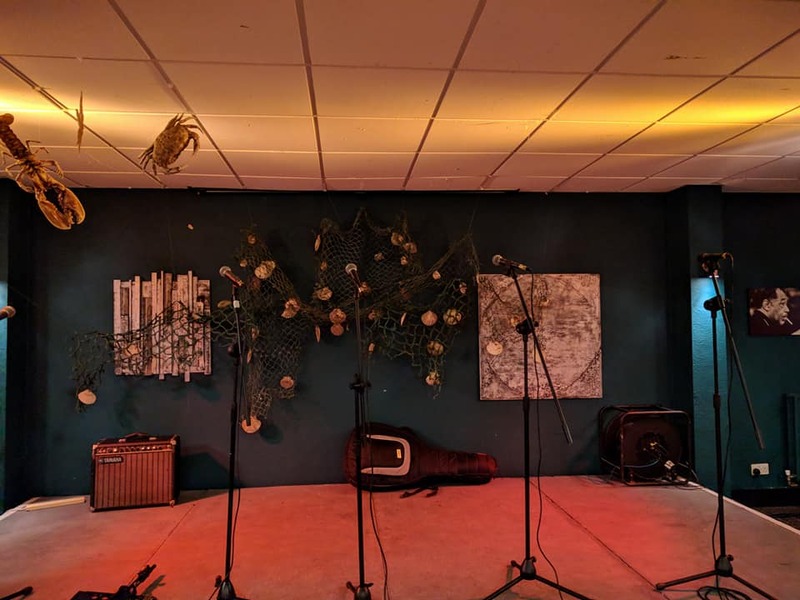 Between 1,00 – 3.00 pm you can hear poetry from Rob Etty in Cleethorpes, Maria Garner in Waltham, Margaret Griffiths and Caroline Burton in Immingham. Pat McCarthy and I will be performing together at Grimsby entral Library with poetry and improvised jazz. A little later at At 4.00 pm the Franklin College Young Voices will be reading at Riverhead Coffee. Carolyn Doyley and Gordon Wilson will be with them. The Young Voices programme is now in full swing and their anthology will be the next La Luna publication, scheduled for release in time for Christmas. It promises to be a diverse and fascinating collection. As part of their programme, Helen Mort will be running a workshop on October 6th followed by a reading from 5.00 pm on Friday 6th October at Riverhead Coffee. Helen has just won the 2017 Mslexia Women’s poetry Prize. She is a truly outstanding voice in British poetry. Of course the next leg of the Fish Tales Tour kicks off in October and I can’t wait to be out on the road again. Here’s hoping to see you at an event soon. Come and say hello. This week sees the official release of A Fish Tale – A Story and Song for Children. This is the little sister project to the major A Fish Tale Jazz and Poetry tour. 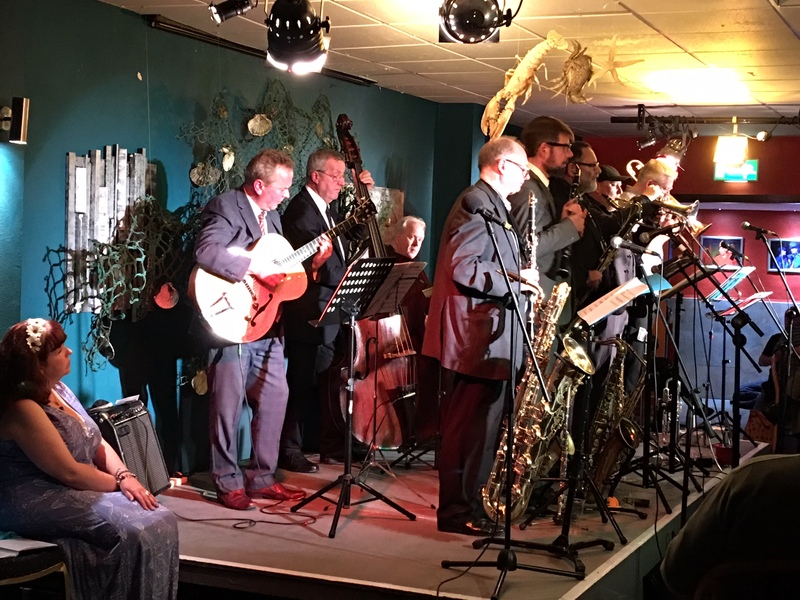 This work has been undertaken in partnership with Gill Wilde at Grimsby Jazz and Sue Baker at the NEL Music Hub. This Spring the creative team has delivered sixteen workshops for primary school children in NE Lincs. Today we came together with 700 children, a fabulous band and conductor and performed the story and music live to an audience of rapt parents, grandparents and guests. What a joy. All of this work was made possible thanks to an Arts Council grant and has been money well spent on a worthwhile and hugely enjoyable piece of work. The book is £20 plus £1.50 p&p. This is a resource that can be used by children’s groups, schools, community groups, libraries and choirs and incorporates local history and myth as well as having fantastically singable songs. I have to say a big thank you to my partner and co-writer in this project, Pat McCarthy who is a consummate composer and sympathetic arranger for voices. 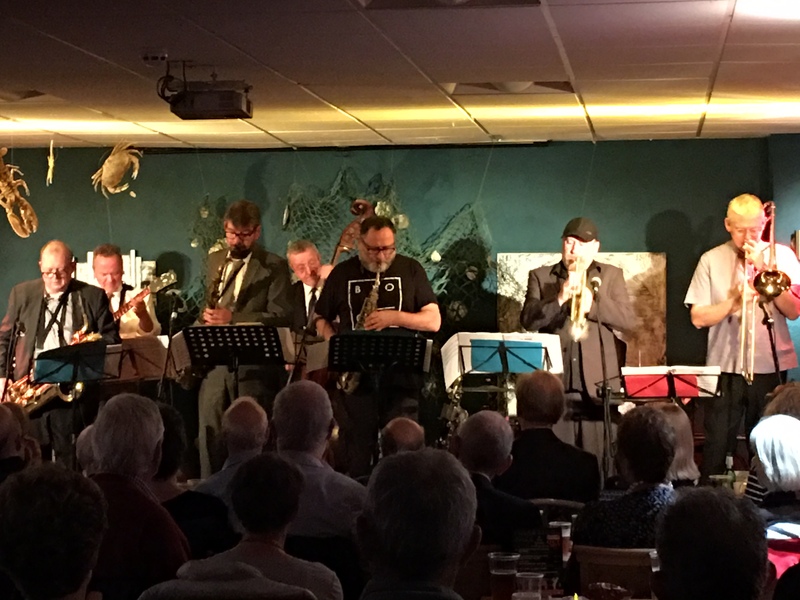 You can catch us out on tour with Alan Barnes and the orchestra across the country and also look out for McCarthy and Moon gigs coming very soon. I always get gig nerves and I’m always glad I do. They have a focusing effect and take me right to the heart of the moment, to the meaning of the performance. It never matters how big or small the audience is, gig nerves are always welcome as a physical sign that I’m engaging with what’s about to happen. The process goes in stages for me. In the afternoon before a gig I become introverted, lost in the anticipation of what’s ahead. I withdraw, go into that space inside that’s exclusively mine. It’s a private room in Moon Towers to which no one but me has access. Only recently have I recognized this withdrawal as a positive thing. I used to worry that it was my body telling me I didn’t really want to perform but now I see it’s my body’s way of making sure I’m ready. As I physically get ready for the performance – hair,make-up, dressing – I come out of that withdrawal and into the anticipatory stage. Giddiness follows and then readiness. 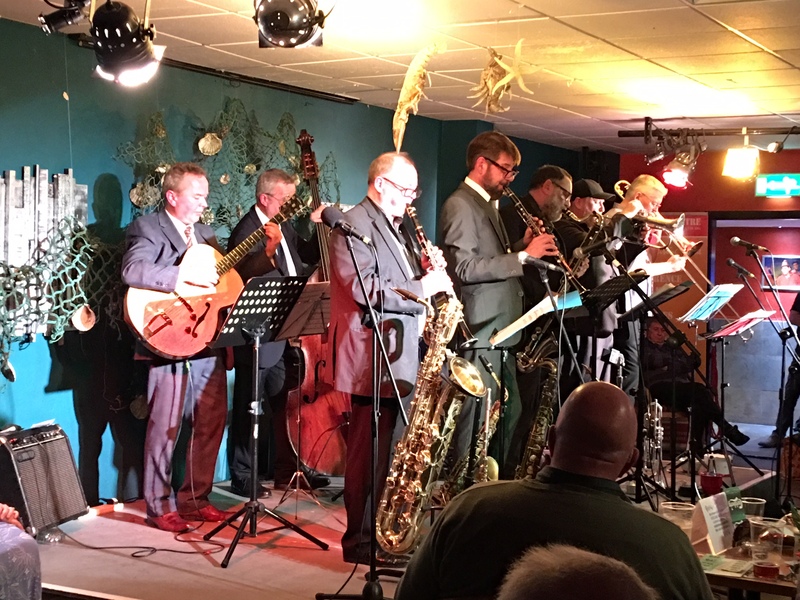 Taking to the stage last night with the most incredible band, the Alan Barnes Octet, I felt that I had rarely been more ready or more up for a gig. This tour, this music, this poetry, this performance period feels like a whole new level of experience, a different world. It’s not just the fact that every member of the band is a stellar musician in his own right or that together their alchemy is beyond the reach of words. It’s also the marriage of words and music, of Ariadne’s silver thread leading the way through a labyrinth of rhythms and sounds and vibrations that create a whole shimmering completeness. It’s an ecstatic experience to be in and of that process. Kardomah94 is an exceptional place. It’s an arts space with an ethos of ‘can do, will do, and they do. 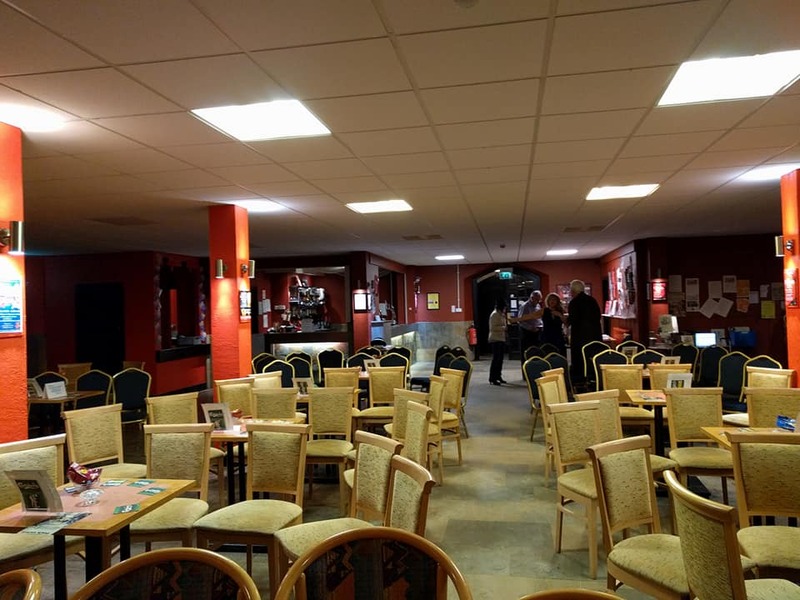 It is a venue that serves artists and audiences equally well and it truly was a pleasure to be there. As with the very best gigs, I don’t remember very much about last night. But I do remember the conversations afterwards, the people we touched, the rapture in the room at moments. Pauline, a member of the audience gave me two drawings as a gift. A witch in an eggshell and me as a mermaid. How beautiful that she saw me as a mermaid. Thank you Pauline. And thank you to everyone who came last night. It was truly something. It’s a big week at Moon Towers, the imaginary house inside my head where I spend a lot more time writing and a lot less time ‘doing’ in the world. Moon Towers is an enormous, rambling old place with an orchard and a rose garden in what was once a ballroom. There’s a pile of old dogs sleeping on couches in a conservatory that is west facing so as to welcome the sunset each day. There is always a sandwich, always a coffee and never any laundry or washing up to do. And we’re back in the real world for a moment. The real world this week actually is a manifestation of the fruit of the time spent in Moon Towers. 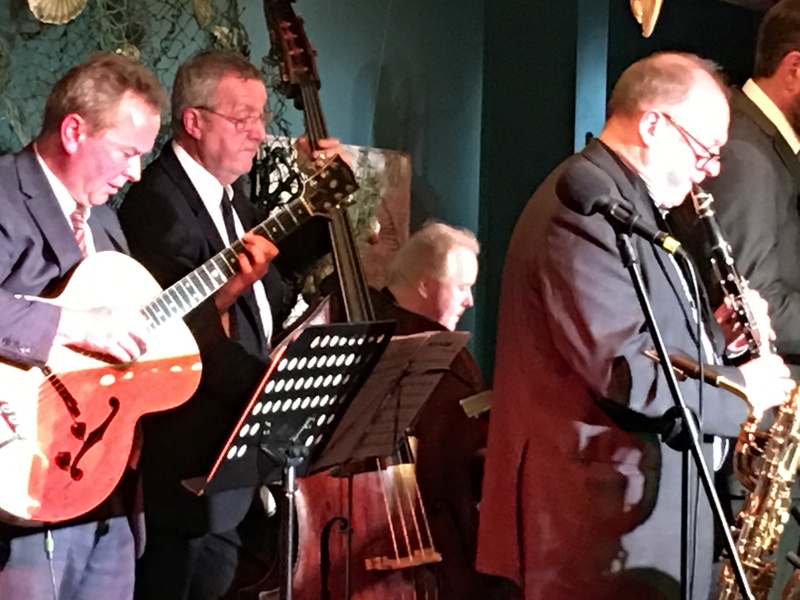 This week sees the beginning of the tour with Alan Barnes, Pat McCarthy and the fabulous Fish Tales orchestra. We begin on Thursday 6th July at Kardomah 94 in Hull. I’ve been rehearsing and buying frocks. Also this week I launch the first part of my ACE funded poetry project and am thrilled to be working with Antony Dunn, Nick Triplow and the young writers at Franklin College. This part of the project will culminate in a La Luna anthology of new writing from the young people later this year. As if that wasn’t enough, A Fish Tale for Juniors goes to print tomorrow, just in time for the children’s singing festival next week. I get to dress up as Saga, the Norse Goddess associated with poetry and history for the festival. Appropriate for a storyteller I think. Last but not least, Pat McCarthy and I will be getting our heads together and launching a new and exciting mini project featuring jazz and poetry. Sometimes I think I don’t do enough, that I’m not busy or productive enough. I fall prey to feeling guilty about the time I spend on the roof at Moon Towers, counting stars and dreams and singing to the old dogs downstairs. But it’s all worthwhile and beyond exciting when a week like this rolls in; when your doves come home from the mysterious places they’ve been in flight and settle in their cote under a twilight blue sky with the scent of old roses drifting in on the breeze. 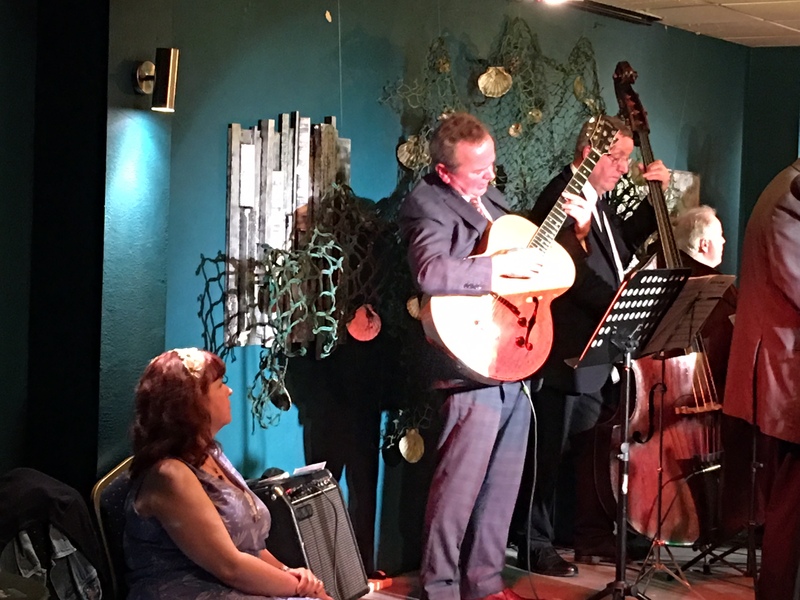 A Jazz Suite by Alan Barnes and Pat McCarthy – Artwork by Dale Mackie and Poetry written and performed by Josie Moon.